Where Art and Science Meet – art. college. life. The Rhode Island School of Design (RISD) is one of the top institutions in the country to study art and design. Saying the school is a leader is an understatement. One of the institution’s more recent efforts has been to focus overdue attention on the arts as part of a science, technology, engineering and math (STEM) dedicated education; turning STEM into STEAM. 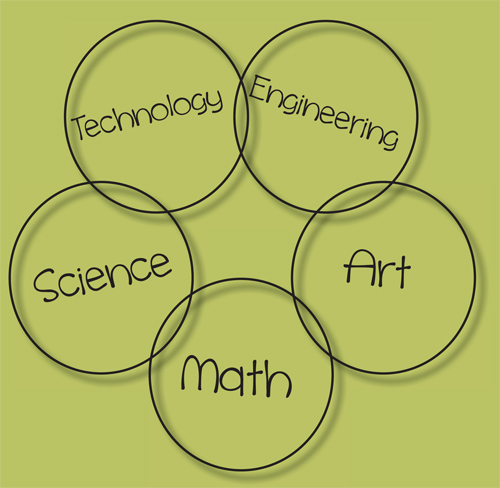 Many don’t realize the critical role art and design play in successfully integrating STEM into mainstream society. Where innovation is concerned, it’s a symbiotic relationship. Need an example? Think Steve Jobs and Apple. Will Novosedlik is a passionate brand management consultant in Canada who recently wrote about the critical intersection where art and design collide with math, science and technology. This collision is taking place on numerous campuses across the globe. Read his blog, Post-Industrial Art School, and you’ll realize this collision is happening on art school campuses like RISD and Pratt, but also at less traditional and perhaps unexpected locales as well – like MIT. Creativity and innovation will play an increasingly essential role in our future. If your interest is in studying art and design there are a lot of potential career paths you could walk, more than you might initially consider. There are also more places to obtain an art education than you might initially imagine. So keep your eyes and your mind open. If you’re passion lies at the heart of design and technology then look for schools that provide the opportunity to mesh the two. That may be at a traditional art school – or maybe not. If your top choice school isn’t shouting about an integrated arts – science program that doesn’t mean it doesn’t exist. Don’t be shy; tell them about your interests and ask what type of collaboration is already in place or how open they are to new ventures. Who knows? You may help create a new opportunity for you and other interested students.